THIRD QUARTER MERGER AND ACQUISITION ACTIVITY IN HEALTH CARE SERVICES AT LOWEST LEVEL IN TWO YEARS According to Irving Levin Associates, Inc.
(November 4, 1998 – New Canaan, Connecticut)—Irving Levin Associates, Inc. has just released the preliminary results of the Firm’s 1998 third quarter report on the merger and acquisition market in the health care services industry, available in middle November. This is the lowest level of merger and acquisition activity since the fourth quarter of 1996, when 254 deals were announced. “Despite the slump in third quarter activity, 1998 remains on track to match 1997’s record-breaking levels, at about 1,200 deals for the year,” noted Sanford Steever, editor of the Report. Deal volume in the HMO sector rose dramatically. “The sharp increase in consolidation among managed care companies reflects a renewed interest in this industry. As HMOs adjust to the changing reimbursement environment—largely by raising premiums and divesting their Medicare and Medicaid businesses—they are regaining the confidence of investors. This may attract new capital, which would likely lead to growth in the merger and acquisition market,” stated Mr. Steever. 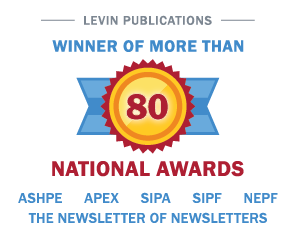 Irving Levin Associates, Inc. is a New Canaan, Connecticut-based research and publishing firm specializing in health care investments. The Firm has 50 years experience in the health care acquisition market. To purchase The Health Care Merger & Acquisition Report, consisting of 12 monthly newsletters and four quarterly supplements, please contact (800) 248-1668. The annual subscription is $1,495.00. Volume Of Home Health Care Mergers And Acquisitions Suffers First Decline In Four Years According to Irving Levin Associates, Inc. Despite Fourth Quarter Decline, 1996 ends as a Record Year for Health Care Mergers and Acquisitions According to Irving Levin Associates, Inc.